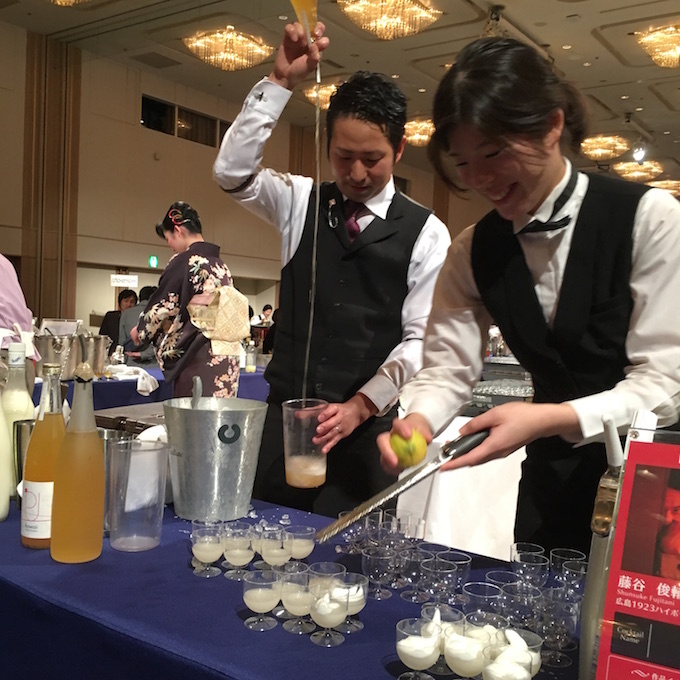 C-1 Hiroshima Lemon Cup 2016 was held in Hotel Granvia in 20th Nov. 2016. 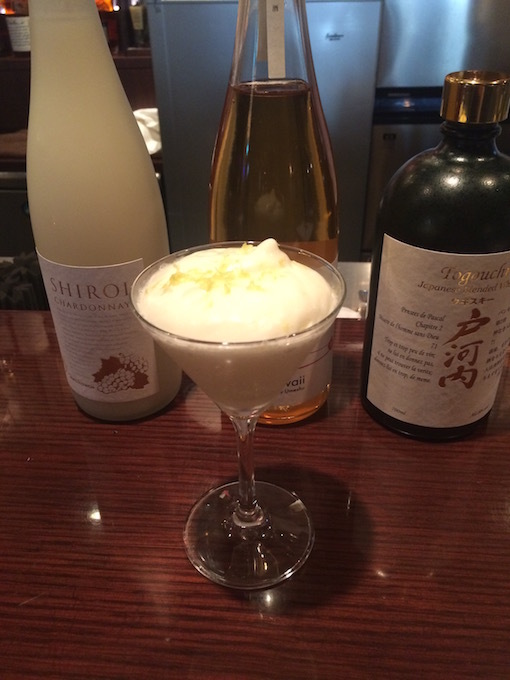 In this competition, Hiroshima Lemon, the most famous Lemon in Japan, must be used in Cocktail. 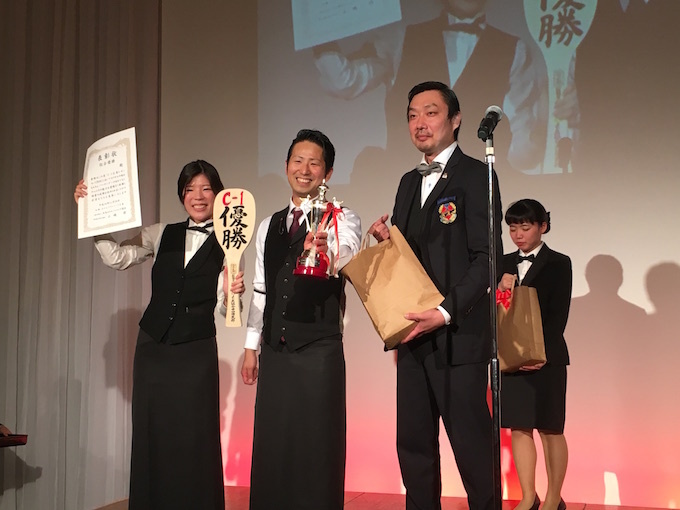 Bartender Fujitani, from Hiroshima 1923 Highball Bar, teamed with Bartender Ishizaki, from Imabari International Hotel, attended this competition. SETSURISEIKOU was made by alcohol of CHUGOKUJOZO. 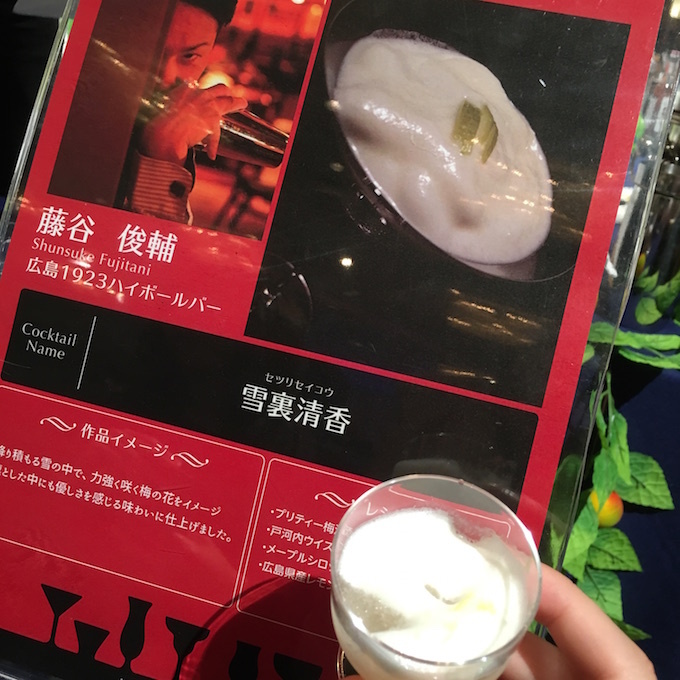 This is the image of Cocktail SETSURISEIKOU. SETSURISEIKOU could be imagined that plum blossom is in full bloom though heavy snow is falling. Cocktail with soft taste with strong base was mixed. Pretty Plum Wine Kawaii, Kawaii SHIROI Chardonnay & Togouchi Whisky were used. Fujitani Team won the champion. Congratulations! Hiroshima 1923 Highball Bar will open in Dec.. Let’s go for a drink!